People are elected to the Canadian Football Hall of Fame in two categories, players and builders. Builders include owners, team and league executives, officials, etc. It is not the CFL Hall of Fame, but the Canadian Football Hall of Fame. While the vast majority of the members were associated with the CFL or the leagues that went before it such as the IRFU and ORFU, some members have been selected for their contributions to college, junior and amateur football in Canadal. Starting in 2011, CIS (college) players were inducted into the HOF as players. these are marked with an * beside the name. If a player's name is in red, you can click on it to go to his bio page on this site. 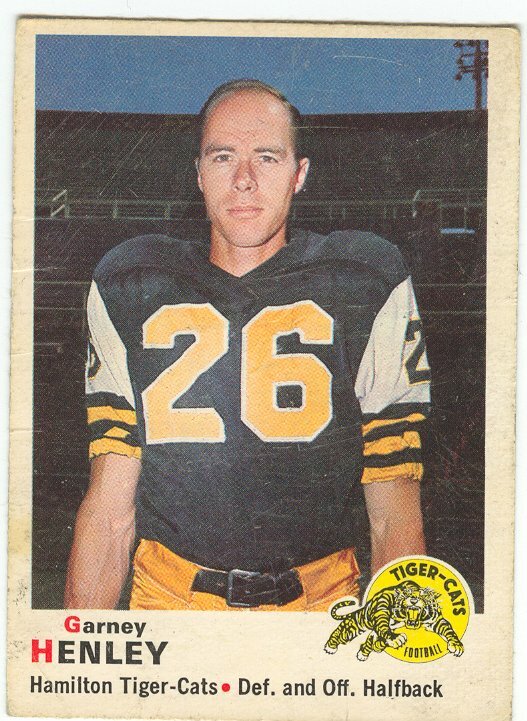 Clicking on the HOF beside his name will take you to the Canadian Football Hall of Fame page for him.